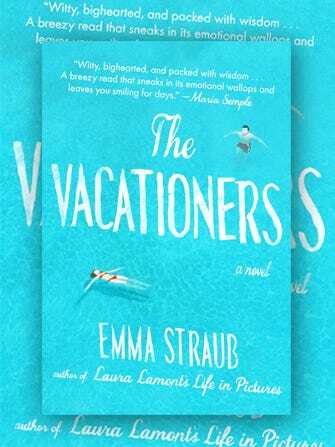 When reading Emma Straub’s The Vacationers (which comes out on today), you can't help but think back to the summer vacations of your own teenaged years. You remember that feeling: You're not quite old enough to appreciate hanging out with the parents, but certainly too old to want to run around with younger siblings. When you're at the height of moody adolescence, forced family trips are more about spending time alone, reading books, people-watching poolside from a raggedy lawn chair, and of course, secretly spying on summer crushes while trying to suppress waves of hormones. Which is what makes Straub’s sophomore novel such a comfortingly nostalgic read. In the book, Sylvia Post, an 18-year-old recent high school grad, bares witness to her family’s subtle unwinding during a two-week vacation in Mallorca, Spain, all while sparking a romance with a slightly older island native. Through all their drama and pettiness, the Posts reveal themselves to be much like the families you're familiar with — prone to meltdowns, but too strong to completely dissolve. We caught up with Straub as she was busy moving home to NYC after a semester as a visiting writer at Vanderbilt. 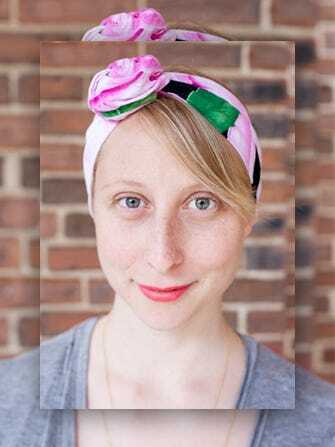 She chatted with us about the process of writing her latest novel, the vacations of her youth, and, of course, her most beloved summer jams. Your very first book, Other People We Married, featured stories about the Post family. What was it like to give them more attention and develop their stories in The Vacationers? "It was wonderfully easy. I'd written about these characters for so long that I felt I knew them really well, and so it was very comfortable. I doubt I'll ever write a novel so quickly ever again — that is, if you don't count the first five years of me kicking the idea around." "I'd be lying if I said anyone other than Sylvia, but really there is a lot of me in all of the characters. I think that's always true." Do you feel like you're still connected to the teenage part of yourself? And, how has your involvement with Rookie (where you're a staff writer) influenced your novel writing? "I think all writers are deeply connected to all of their previous selves — it's what makes writing fiction possible. And, yes, writing for Rookie for the past three years has sort of doubled down on that connection — I'm in touch with teenaged girls every single day. All the Rookies are much, much more advanced than I was, I must say." Photo: Courtesy of Jennifer Bastian. Did you ever have a summer romance? "We went on all kinds of family vacations, and I always wanted a teenage summer love, but god dammit, it never happened. There were always crushes — whenever we'd go somewhere, my older brother would make a friend who I would develop a crush on, and they would never hang out with me. The story of my life." You moved to Nashville to teach at Vanderbilt at the suggestion of your mentor Lorrie Moore. How has she challenged you? "Lorrie is the greatest. I adore her. She challenges me to be a smarter, better writer (and person) every time I see her. I think that's what mentors are for — to keep you on your game. She is wonderfully supportive. I wish everyone could have a Lorrie. Not my Lorrie, of course, some other Lorrie." You've become a mom since the release of your first novel Laura Lamont's Life in Pictures. Has that affected the way you write, or the subjects you want to write about, now that you know your child will one day read your work? "Ha! Oh god, yes. Having a baby has changed everything. I used to be productive! And quick! I dream about having the kind of time I used to have. That's really the only difference. My father writes books that are filled with torture and murder and blood, and it never bothered me in the slightest, so I don't think I'll consider my son when it comes to my subject matter, no. I hope he'll be as proud of me as I am of my parents." Since this novel is all about a summer getaway, tell us your top three favorite summer jams to bliss out to. "Oh, this is fun. Mariah Carey's "Dreamlover," Superchunk's "Digging for Something," and then some Beyoncé. Any Beyoncé."